If recent mail calls are any indication, it seems like I’ve been on a light buying spree lately. That probably has something to do with the arrival of fall and vanishing amounts of daylight. Today’s gear comes from Malkoff Devices, a small mom-and-pop flashlight maker out of Alabama. Not too long ago on Candlepower Forums, I saw a poster (“NH Lumens”) showing off their custom Malkoff setup (link here). Basically, it consisted of a single-cell CR123A MDC body, VME head, and an LED drop-in. Luckily, you can find all of these parts sold separately on the Malkoff website, and put them together yourself for a DIY custom light. After assembling the separately-packaged parts, which took maybe a minute or two, I was up and running. The first impression you get picking up this light is that it is very sturdy, and could probably withstand getting run over by an SUV (or a tank). Without a doubt this is due to the excellent machining of all the parts, and the fact that the M31W drop-in is constructed of brass, with fully potted electronics. 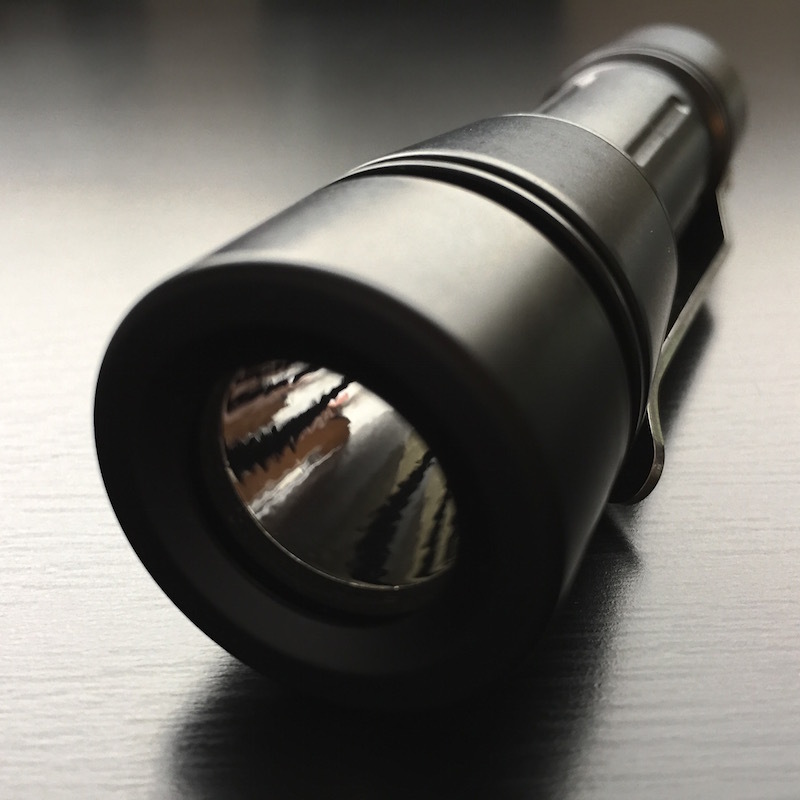 Speaking of the drop-in, the M31W puts out over 200 lumens of warm-tinted light (around 3,000K); similar to an incandescent bulb’s color temperature. It is meant to operate off of 3V — but per the manufacturer, don’t use it with rechargeable lithium CR123 cells. (Note: Regulated runtime off a single CR123A primary cell is estimated to be 30-45 minutes, per an e-mail from Gene.) If you decide to pick up a longer MDC 2xAA body, you can even power the M31W drop-in with two AA cells (lithium or NiMH). It’s nice to have options! This DIY light looks like a great contender for EDC duties. There are no modes to fuss with, the entire setup has a small footprint, and the pocket clip is excellent. For those who want a K-I-S-S light, this just might be it!